Carports and garages are similar in many aspects. They both offer protection from the wind, rain and sun and can both be either connected to the side of your home or act as free-standing structures. How they differ lies in how they look, how they are built and how much they cost. 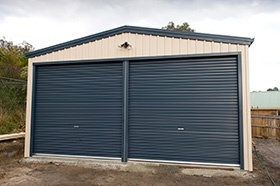 Garages are fully enclosed structures that include a door and large shutter that gives you and the vehicle access. Because they are fully enclosed, they keep out anything and everything the environment can throw at your car. In comparison, a carport is a structure that has at least two open sides. It will still keep rain and sun away from your vehicle, but less so as the elements can still reach your car through the open sides. Now that we know the difference, let’s take a deeper look into the pros and cons of garages vs carports. As you can see, there are some very crucial differences between garages and carports. As such, it is important to consider each one carefully before getting to work. Let’s look at some possible scenarios in order to help you decide which one is best for you. A common reason for building a carport or garage is to help get tools and other equipment out of the house. Well, it’s true that carports can offer some protection to other belongings, though it will not suffice if these items are valuable. If you want to move out sporting equipment and tools, then a garage is a much safer bet as they are less of a magnet for thieves. Both carports and garages can do a fantastic job of protecting your vehicles. Even carports that have only 2 sides worth of protection can protect your car against 90% of what nature might throw at it. However, having a garage is the best bet if you want the piece of mind that your car is away from prying eyes of potential car thieves. Again, carports and garages can both be very helpful if you’re fed up with getting out of or into your car in heavy wind and rain. If you can connect a carport to your home, then there’s no reason to step out from undercover at all and it will do the job just fine. Either will work under this scenario, it just depends what your budget is and whether you have any other uses for it. It’s true that building a garage can be more expensive, but they do add to the value of your home. If you have no plans to sell any time soon, then you might want to disregard the extra value they bring as, over the years, garages do need replacing so can lose their value. Go for the carport. 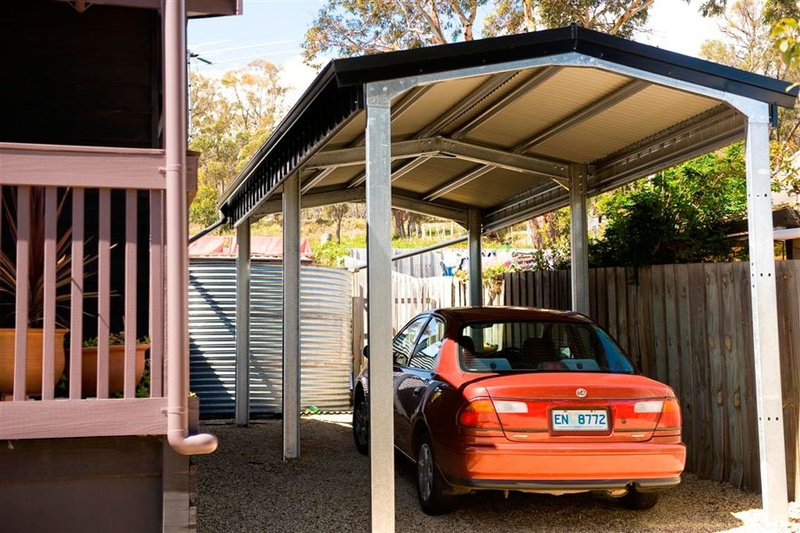 As mentioned above, carports are much easier to construct and can be made out of a variety of common building materials. Better yet, you can build one yourself with some friends to help you out. Just bear in mind that the carport will likely have a shorter lifespan than a well-constructed garage. Ultimately, it is up to you as to which one you build, as the decision should be based largely on your exact needs and requirements. Just remember, even though carports are more affordable and easier to build, they are still awkward to dismantle and dispose of if you later decide a garage is a more fitting construction.